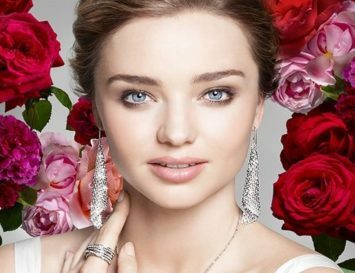 Healing stones, crystals and semi-precious gemstones all come from one core source – the Earth. Created from the magma from the Earth’s inner core, these stones have been heated, cooled, and are often amongst the most ancient objects on the planet. Perhaps because of their age or primal roots, crystals, gems and other stones are often believed to contain a strong energy field. Each stone is made up of tiny crystals which are in constant motion, so they do indeed emit an energy signature or frequency–add to that the theory that colour influences our state of mind, then it makes sense that many people are firm on the point that a gemstone can contain a kind of healing energy. 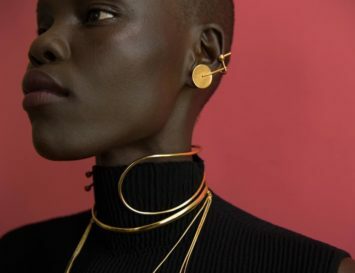 Going back in human history, there’s no doubt that there’s long been a magical connection between people and gems–in fact, evidence of gemstones used for healing has been found as far back as 4BC. Ancient civilizations such as the Chinese, Egyptians, Sumerians, Greeks, Romans, or more modern Shamans and Medicine Men have used gemstones for healing in multiple ways – they’ve ground them into powders or elixirs, worn, carried or placed them on the body and in ceremonies or rituals. 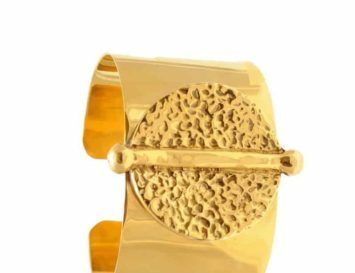 Such rituals and beliefs have trickled down into modern society, and today, we can see the anti-inflammatory properties of quartz being used in high-end cosmetics, for example, or jade bracelets commonly worn by the Chinese for good health. It’s said that rough gemstones, broken or mined from a rock, are most powerful–some healing therapists believe that these can be placed gently on the body to transmit and focus healing energies. However, it’s important to note that modern scientists have rubbished claims that stones can heal, and state that any positive effects that people may experience come only from the power of suggestion; a placebo effect. 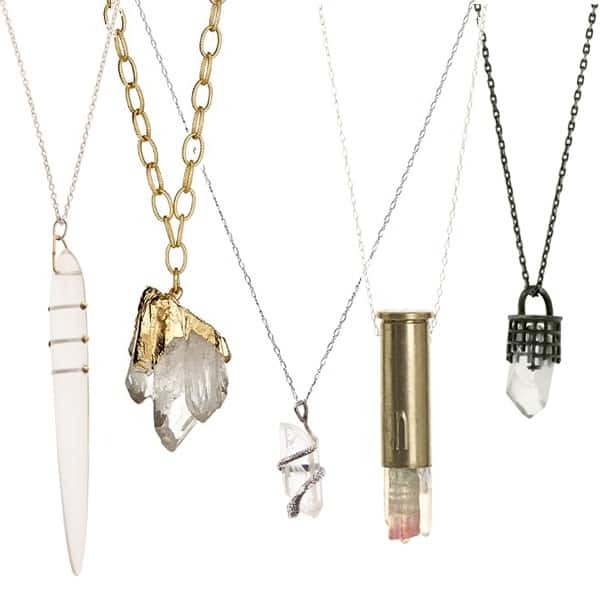 Whether or not you believe in the mystic qualities of crystals and gems, they certainly do evoke emotional reactions, look pretty, and can make a lovely gift with a symbolic message. Here’s a quick guide to 10 popular crystals for healing, and a guide to what they mean. 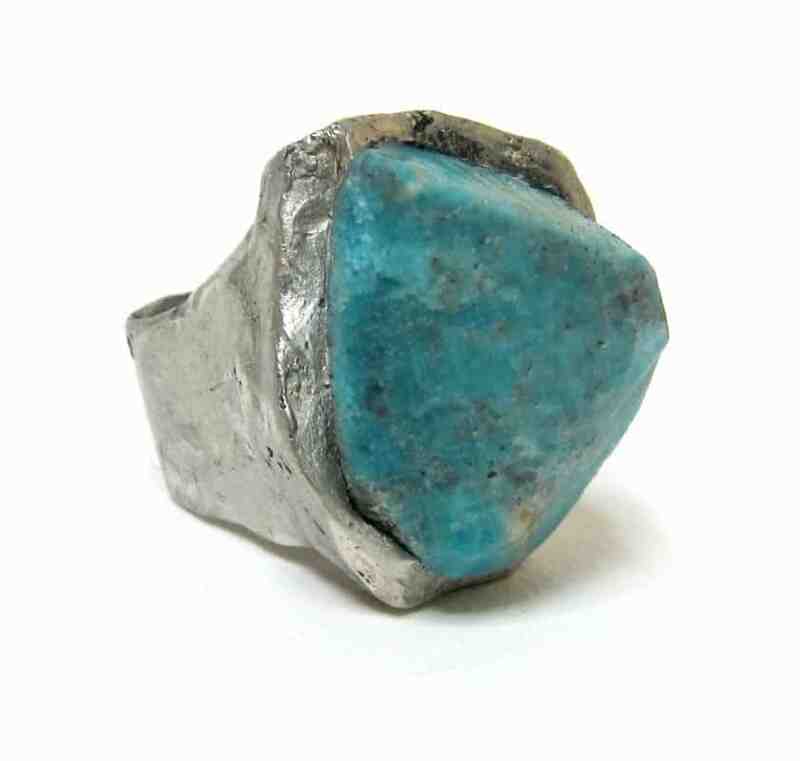 Turquoise can be a very powerful stone for protection. It increases inner calmness and eases depression, fears, exhaustion and anxiety. It is a stone for friendship and love. Turquoise has calming effects when speaking in public. It helps us to express ourselves and aids in creative problem solving. This powerful stone also stimulates our intuition and helps in meditation. 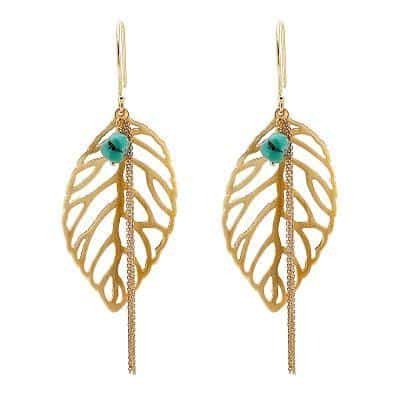 Turquoise helps to absorb nutrients and strengthen the immune system. It has purifying properties and anti-inflammatory powers. If placed on the throat, it’s meant to be wonderful for the thyroid and the voice. Turquoise strengthens feminine energies and is helpful in female disorders as well as in soothing headaches. Turquoise is well known for its healing powers and its abilities to draw disease out of the body when pressed against problematic areas of the body. It absorbs disease and negative energy to the extent that it sometimes breaks when exhausted – the stone then needs to be buried and given back to the earth. Given as a present, Turquoise brings prosperity and happiness to its receiver. This stone needs to be cleansed and re-charged regularly. Amethyst is a very powerful crystal for healing. It is know to calm and bring clarity to the mind, to relieve stress, sooth sadness, anger and anxiety and balance mood swings. It helps us to focus and stimulates motivation, concentration and memory. Amethyst activates our intuitive and psychic abilities, aids in meditation and is said to attract justice. Amethyst balances the hormones, strengthens the immune system and has a stimulating effect on the metabolism. It also has sobering powers, and its name actually comes from the Greek word meaning ‘without drunkenness’. Amethyst eases stress and insomnia, promoting peaceful sleep. Rubbed against the forehead, it eases headaches and releases tension. It encourages humility, sincerity and spiritual wisdom. Amethyst is a healing stone for blood related problems and diseases of the lung. This beautiful sky blue stone balances the 5th Chakra, increasing communication skills, truth, wisdom and forgiveness, helping you to stay true to yourself. 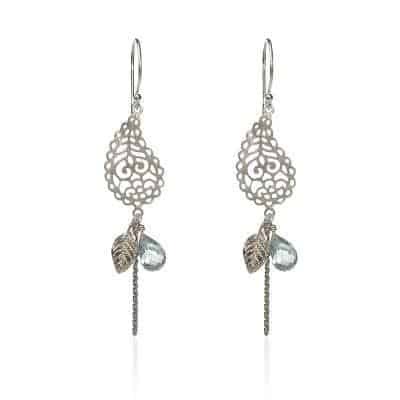 Blue Topaz promotes joy, abundance and good fortune. It also encourages honesty, aids in expressing ideas and artistic inspirations and increases intelligence and creativity Blue Topaz facilitates thinking through and expressing complex concepts and ideas. Blue topaz is a strong crystal for healing health problems, and aids digestion, fortifies the nerves, balances emotions and stimulates the metabolism. It is known to combat eating disorders. It is also known to increase the general health around the neck and throat area. Blue Topaz releases tension, helping one to relax. Crystal Quartz is very powerful for healing, meditation and spiritual growth. It is harmonizing and balancing, purifying the spirit, mind and physical body. It can be utilized to bring light and energy into our spiritual bodies. It enhances mental abilities and can be ‘programmed’ and imprinted with any desired energy or information. Crystal Quartz is powerful for protection and amplifies positive energy and thought. Due to its power to open up all chakras, it is a great stone for relaxation and also to be combined with other stones, as it amplifies their powers. Crystal Quartz enhances psychic abilities and promotes overall harmony and balance. It brings clarity to thoughts as well as actions, allowing us to see things more clearly. Clear crystal protects from negative energies, neutralizing radiation. It stimulates the immune system and overall balance. Placed near the computer screen, Crystal Quartz helps to dispel electromagnetic radiation. Moonstone aids in inner growth, strengthens intuition and stabilises emotions. 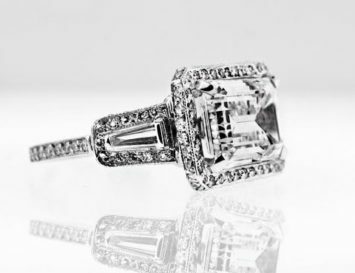 It is known as a stone for new beginnings, success in love and business, and good fortune. It promotes inspiration and protects us, especially those of us who are very sensitive. Moonstone is said to perceive that which IS, making it a very personal stone. It is a great aid for meditation, helping us to understand ourselves. Moonstone also soothes stress and anxiety. 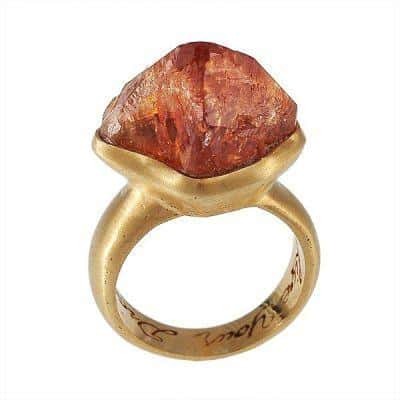 This beautiful stone is particularly beneficial for women, also young women, helping us to connect with our feminine side. 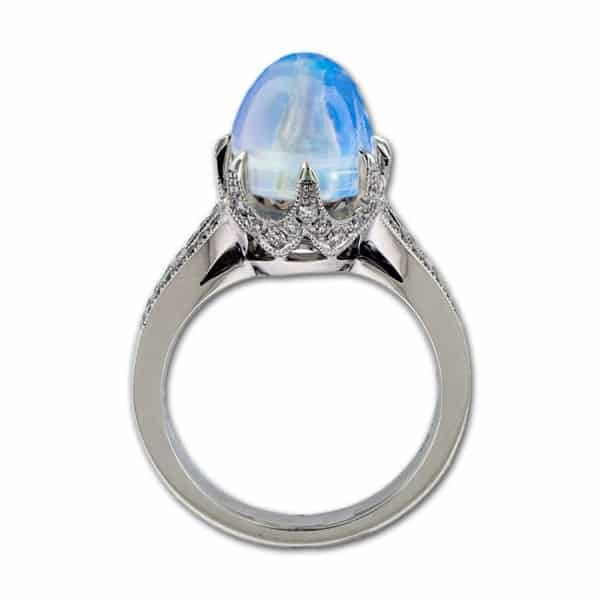 Moonstone is said to have the power of making wishes come true. If you are a very sensitive person, we recommend for you to avoid contact with moonstone in the time of full moon as it can open you up to psychic worlds in an overwhelming way. 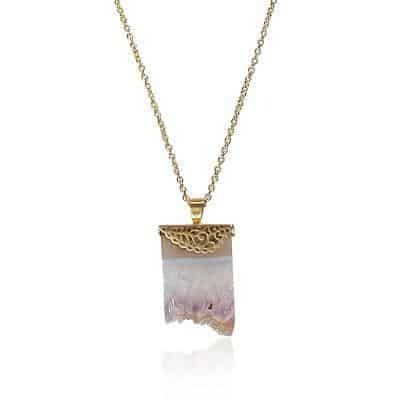 Moonstone balances the digestive system, helps to absorb nutrients and to eliminate toxins. It is known to stimulate the proper functioning of the pineal gland and to balance hormones. It is a great helper for conception, pregnancy, childbirth and breast-feeding. Onyx is an excellent stone for stressful or challenging situations as it gives us strength and support. It’s soothing qualities alleviate fear and worries and encourage wise decision-making. Onyx is known to increase happiness, intuition and good fortune. It is known to help us change bad habits and keep emotions under control. Onyx helps us to focus and stay grounded. Onyx is known to help with skin ailments, infections and inflammations. This stone needs to be cleansed and recharged regularly–wash it in salt water or pass it through incense smoke. Widely known as the “love” or “heart” stone, Rose Quartz encourages unconditional love and opens its wearer to all forms of love: self love, romantic love, family love, platonic love … It’s heart opening qualities act soothing on the nervous system, decreasing stress levels and increasing happiness, trust and harmony. 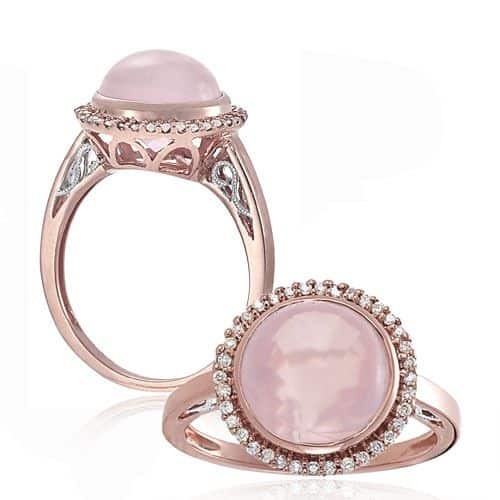 Rose Quartz stimulates peace, forgiveness, compassion, kindness, inner peace and tolerance. It increases ones ability to love oneself as well as others. It helps heal emotional wounds and increases its wearer’s sense of self-worth. 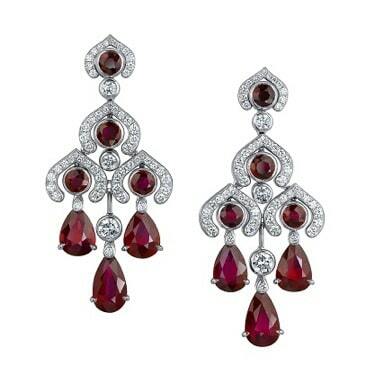 Ruby is a symbol of vitality, contentment, energy and zest for life. It is said to encourage passion and self-love. Be releasing destructive emotional patterns, it helps us to develop more love for ourselves. Through activating passion and life-force, this gorgeous stone helps us to improve motivation and set goals. Physically Ruby is know to restore life-force and to aid in cleansing and detoxifying body, blood and lymph system. It also stimulates the heart and reproductive organs. For more information about crystals please click here. I WOULD CHOOSE COLOR CHANGE GARNET, KNOWING SO THAT I’m a January 11individual. Thanks to all, WONDERS AND BLESSINGS, W. R.
Thanks for sharing this wonderful article on popular crystals for healing purpose. This post is having lots of beneficial information related to natural healing crystals and gemstones. Yes, crystals like amethyst, citrine, malachite etc. are considered as powerful crystals for healing purpose as they also bring calm and clarity to the mind.